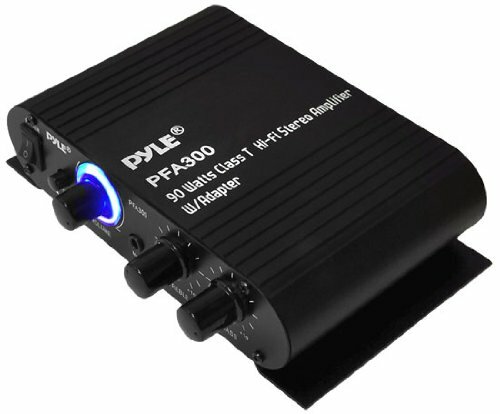 The PFA300 is a class-T digital amplifier with up to 90 watts of power. Use it in your car, your boat, your RV, your golf cart, your home — anywhere you need a great amplifier with low distortion and acoustically accurate reproduction of music. Adjust the bass and treble to your liking, or bypass the included EQ. Takes 3.5mm stereo jack input or stereo RCA. 2-8 ohm speaker impedance compatible. Includes a 12 V DC adaptor.